Ages 11 and older. Competitors must be pre-registered for the Team Trivia competition. (No walk up teams allowed). Teams can have more than one team but only a maximum of 8 players per team. Team sizes will consist of 4-8 players and the duration of the competition will last for 2 hours. Division 1 and Division 2 competitors can be on the same team. Medaling is not division or gender specific. 1. Do not shout out the answer. 2. No cheating. No cell phones or tablets. 4. Host's word is law. 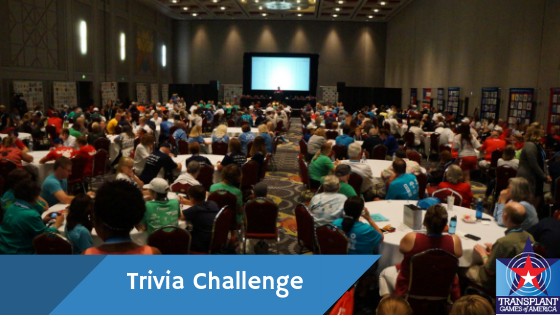 Once an event is completed and results are available, trivia challenge staff must record all competitors and scores to the appropriate system/documents. When electronic scoring is being utilized a manual backup system must be in place to record results.